About 160,000 years ago the human diet expanded to include seafood . Early humans became coastal dwellers at least that long ago, and ever since then we’ve been inextricably linked to the sea. The sea contains our most reliable source (when we aren’t dining on the brains of ruminants) of the all-important, long-chain omega-3 fatty acids . And then there’s the edible sea vegetation. I’ve written briefly about it before , but edible seaweed seems to be lacking from most folks’ diets, even those eating an otherwise complete Primal diet. For those in Western countries, the only seaweed they’ll happen across on a regular basis comes stuffed with rice and raw fish. It’s not a modern staple, unless you’re in Asia, and it simply isn’t on most people’s radars. It should be, though. Pretty much every culture with coastal access throughout history made culinary use of sea vegetation. The Japanese and other Asian countries are famous for their seaweed consumption, but even the Vikings and Celts would chew on dried dulse for sustenance (and the red algae even figures into some of the old Norse epic sagas). Hawaiians and Polynesians cultivated kelp farms. Plato famously opined the “sea cures all evils,” and the ancient Greeks regularly ate edible seaweed. Any food with such a wide-ranging history of use across various cultures and time periods piques my interest. The sea is an especially potent source of minerals. It’s an entirely different story with soil, which most experts agree is being rapidly depleted of mineral content  by intensive over farming. And since the plants we eat are only as mineral-rich as the soil in which they grow, most commercial vegetation that ends up on our plates isn’t nearly as nutritious as the stuff your grandparents ate, let alone what Grok  ate. Buying from smaller farms can mitigate the deficiencies to a certain extent, since those guys are generally more mindful of soil quality and replenishment (rather than just trying to produce the biggest, most durable fruits and vegetables in the shortest amount of time, nutrition and taste be damned), but incorporating sea vegetables into your diet is an affordable, delicious, surefire way to obtain missing mineral content. Whereas terrestrial vegetables are limited to what they can obtain from the soil, sea vegetables spend their entire lives luxuriating in the world’s largest, oldest, most complete mineral bath. They soak it up and are among the richest sources of iodine, magnesium, calcium, iron, zinc, potassium, manganese, and all other (56 of ‘em in total) minerals essential to the human body. Getting precise numbers for the mineral content of each variety, though, is difficult, because it varies based on location, water temperature, water depth, climate, and season. Rest assured, though, that these things are extremely nutritious, however variable  the specifics  may be. Kelp is the most readily available type of edible seaweed. In Asian countries, kombu and wakame are popular forms of edible kelp. You’ll generally find kelp in its dried form; soaking it for several minutes makes it pliable and edible, or you can add it directly to soups for extract the nutrients. Kelp also comes in granulated form, to be used in place of salt or as a mineral supplement to your food. A quarter teaspoon of this brand  gives you plenty of iodine (over 2000% of the RDA), so if you’re looking to add more iodine to your diet, this is a fantastic way. If you’re looking to reduce your intake, you might try other seaweeds. Kombu is a type of kelp, a brown algae most commonly eaten in Japan. It comes dried, for soup or broth, or fresh, to be eaten as sashimi. Add a five inch strip to a pot of water with a bit of salt and pepper for a simple, mineral-rich broth, or incorporate a few more ingredients and make Aaron Blaisdell’s Kombu Egg Soup . Be sure to eat the chewy kombu after. Wakame is another popular one in Japan and Korea, where restaurants will often serve fresh (or reconstituted) wakame tossed with a bit of sesame oil over a bed of lettuce. I highly recommend trying this out – the chewy robustness of the seaweed holds up well against the delicate lettuce. Wakame often appears in miso soups or simple broths, floating on the top in thin strips. It has about the same nutrient composition as kombu and other kelps (iodine, magnesium, calcium, etc). Arame is brown Japanese kelp used primarily in Japan, China, and Korea, but Peruvian and Indonesian cuisine employs it as well. It has a sweet, mild flavor, making it a great sea vegetable for beginners. Try sautéing soaked, drained arame with winter squash, onions, butter, and a bit of chili pepper for a great side dish for grilled meat or fish. Soak dried arame for five minutes before using (unless it’s going right into a soup). A tablespoon of dried arame will give you 0.7 mg of iodine. Dulse is a red seaweed that attaches itself to rocks in the North Atlantic and Northwest Pacific oceans. It’s often shredded, dried, and sprinkled on soups, but fresh dulse can be sautéed with butter and garlic, or rubbed with olive oil  and salt and roasted in the oven to make chips. I’ve even eaten handfuls straight out of the bag, treating it like edible Big League Chew that won’t destroy your tooth enamel. It has less iodine (by most accounts, about 1/5 of the amount) than kombu, with high amounts of magnesium and calcium. Dulse also comes in shakable flakes , similar to granulated kelp. Anyone who’s eaten sushi knows nori. It’s the mildest form of seaweed , generally coming roasted in sheets or squares. Compared to other sea vegetables, it’s also fairly low in minerals and other nutrients, but that just means you can eat even more of it. Try wrapping up gobs of tuna salad (tossed in olive oil and balsamic vinegar, sprinkled with kelp granules, perhaps) with your nori squares for a quick, healthy snack, or just eat them plain. Also known as carrageen moss (yes, as in carageenan, the common thickening agent that makes up about 55% of Irish moss’ bulk), Irish moss grows along the rocky Atlantic coasts of Europe and North America. It’s also about 15% mineral and 10% protein, and it softens into a jelly-like substance when heated in liquid. Folks in the Caribbean boil Irish moss until it’s jelly, add flavoring like vanilla or cinnamon, and top it off with rum and milk. The concoction is supposed to fight impotence and confer aphrodisiac qualities. The Irish and Scottish boil the stuff to make a tapioca-like pudding dessert. It might be interesting to play with some Primal seaweed pudding recipes, which could be incredibly nutritious (Irish moss is high in iodine, magnesium, calcium, manganese, zinc, bromine, and other minerals) if you avoid sugar. Anyone game? Sometimes called dabberlocks, badderlocks, or winged kelp, alaria esculenta is a traditional sea vegetable found in the far north Atlantic Ocean. Greenland, Iceland, Scotland, and Ireland all count it among their traditional foods. 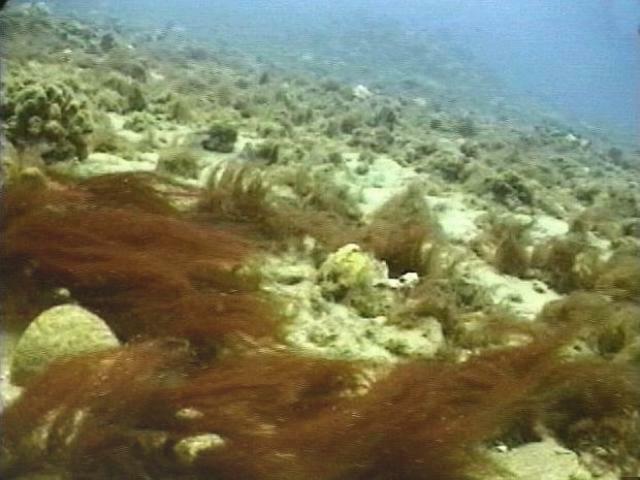 It’s a brown seaweed with a large central rib, from which wavy membranes shoot out on either side. Alaria was traditionally dried, then added to soups and stews. A big strip of it goes well in a pot of chili and increases the mineral content considerably. I understand that some people just don’t dig the flavor of sea vegetables, and that’s fine. Soups and broths are excellent ways to extract the bulk of the useful minerals and nutrients from sea vegetables; eating the stuff itself is entirely optional (although probably optimal). Still, give it a try. For my money, the texture of sea vegetables is unrivaled and incredibly unique. One thing to keep in mind is that sea vegetables have historically been used as garnishes, flavorants, stock bases, and side dishes. You won’t see heaping piles of kelp replacing spinach or lettuce in salads in Japanese households, for example. Because they’re so incredibly nutrient-and-mineral-dense, sea vegetables can be eaten to excess. Our iodine RDA of 150 micrograms is low. The Japanese typically get upwards of 5-10 mg iodine daily without ill effects (in fact, their traditional health and longevity is rather excellent), but iodine toxicity does exist. Think of sea vegetables as a supplement, albeit a supplement to be used on a regular basis. Warnings about heavy metal or pollutant toxicity due to consumption of sea vegetables are understandable. If sea vegetables soak up all the beneficial compounds floating around our oceans, it seems plausible that they’d also absorb the bad stuff – mercury, arsenic, lead, etc. Most studies  have shown that heavy metal toxicity via seaweed consumption just doesn’t really happen. Only one type, called hijiki, has consistently been shown to possess levels of heavy metals , especially arsenic, that approach toxicity. Avoid hijiki and you should be okay. I wish I could give accurate, precise figures for mineral and nutrient content of sea vegetables, but I can’t in good conscience. To me, though, that adds a bit of excitement to eating. You know it’s sustained multiple cultures over multiple time periods, and you know it contains the full range of essential minerals – you just do not have the hard numbers in front of you. Well, neither did Grok, nor the Vikings, nor the Pacific Islanders, nor the chronic disease-free Japanese villagers munching on this stuff on a daily basis. It was just there and it was edible and apparently nourishing. I’ll for one continue to get some of my veggies from the sea.